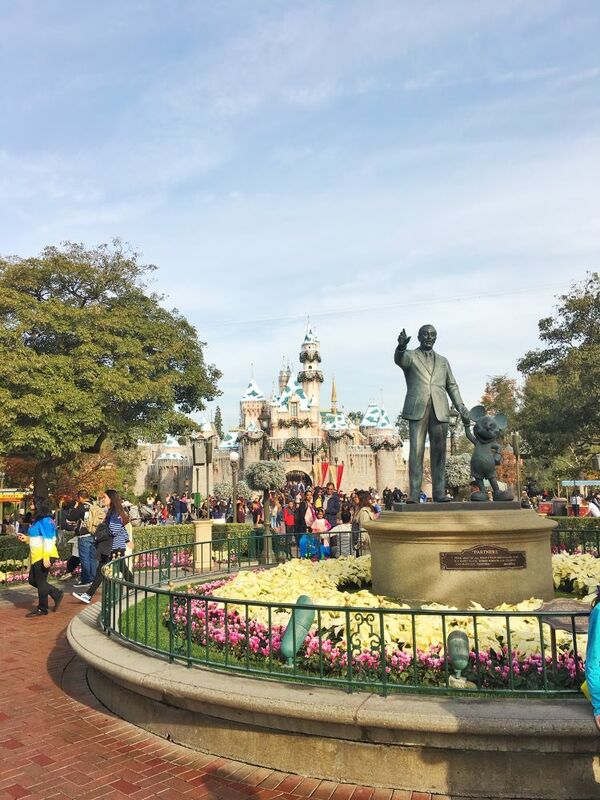 Here are some Disneyland tips to help with your next trip to the park. We had a great time on our trip to Disneyland in December. Heading there soon? Here are some tips to help prepare for your magical trip. Whoever said that Disneyland was the happiest place on earth probably didn’t go with kids. As fun as Disney is, there is an overload of sights, sounds and people and it’s easy to get overwhelmed. We saw so many kids having melt downs, having tantrums, and lying on the floor crying their eyes out. Be prepared. It might not always go as smooth as you hope. Disney lets you bring your own food and drinks. This is a huge bonus that you should definitely take advantage of. 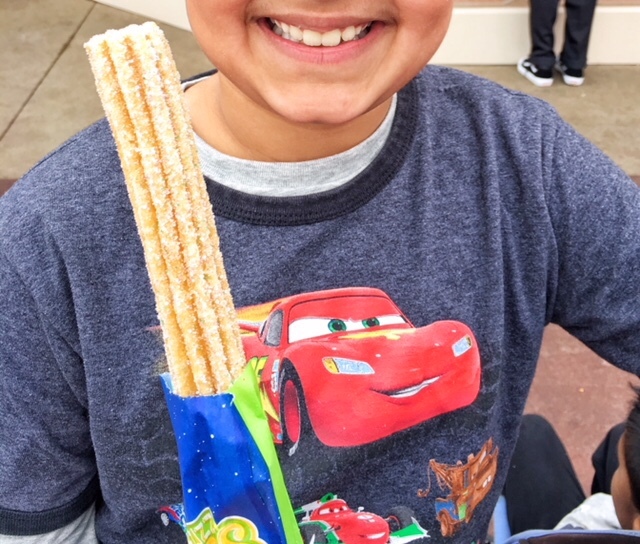 We loaded up with snacks like granola bars and almonds and fruit and splurged on treats like churros and beignets. Check out the food that we loved and are worth trying. 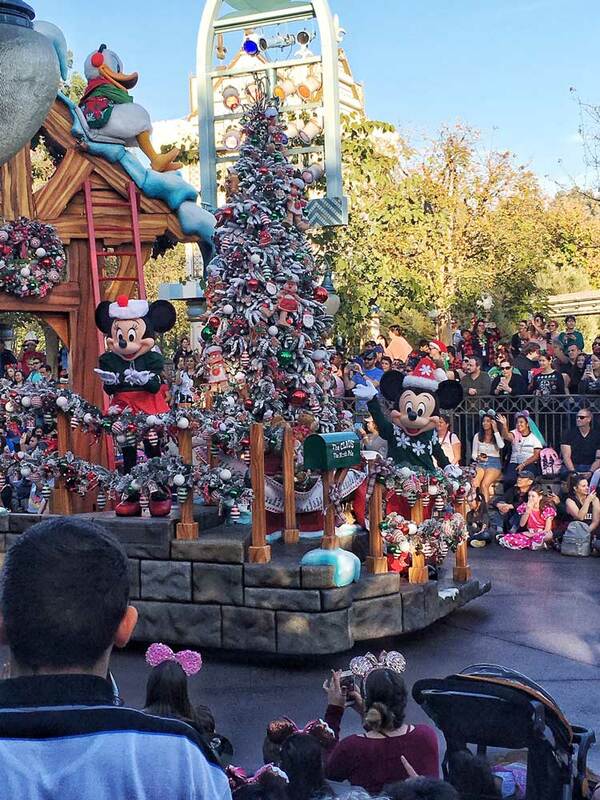 If you want a good view of the shows and parades, be prepared to find a spot early and wait. This is when your bag of snacks come in handy, and its a great time to catch your breath after running around the park. We were lucky enough to find a bench to sit on, but you may have to sit on the ground. From doing our research, we decided to bring a blanket. Here’s one that we ordered and it folded up nice and small, so it didn’t take up a lot of room. Plan out your trip. The place is huge and if there are a few things you don’t want to miss, check out the map and plan your day(s). 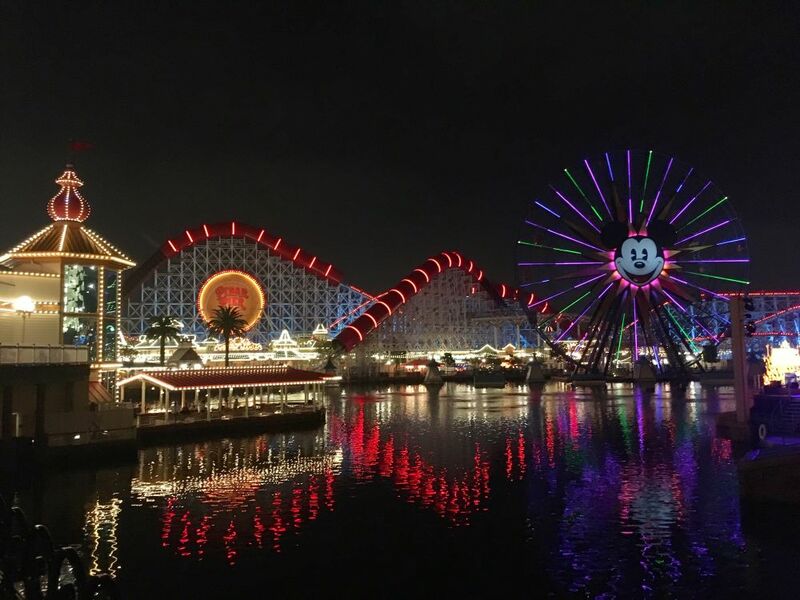 We got tips from our friend who has been to Disneyland a few times and got some great tips and planning advice. I’m sure there is lots that we may have missed if we didn’t learn from their experience. So, check out maps, read blogs and talk to your friends who have already been. I was reluctant to spend an additional amount of money per person per day on the MaxPass but I can’t say enough good things about it. 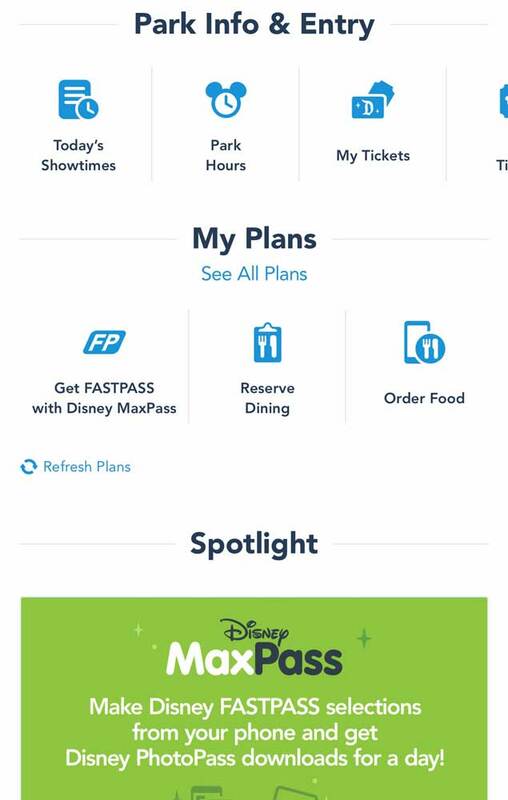 First, you can book your FastPass for certain rides directly on your phone through the Disneyland app. No need to run to the FastPass areas throughout the park. It is definitely a time saver. Also, it includes the Photo Pass so you can get your pictures taken by the photographers in the park and it shows up on the app. Worth it! Looking for a free souvenir? Disney buttons are available for free commemorating birthdays, anniversaries and first time visits. So fun! I have never seen so many different kinds of Disney shirts until I went to the park. It’s amazing how many designs there are out there. If you have time to plan, you can always find some shirts from your local Disney store or even stores like Zara, Old Navy and Gap. You can even buy Mickey or Minnie ears online without breaking the bank. I ordered these ones (affiliate link) from Amazon which were perfect. If you don’t have time to plan ahead, fear not. The Target that’s close to the park has a huge selection of shirts and swag if you are wanting to get into some Disney gear.